Last December I shared an artist studio at the now defunct V22 Biscuit Factory site in Bermondsey before it sadly fell prey to redevelopment, that great enemy of artists in London seeking increasingly hard-to-find studio spaces. In January I fancied myself something of a Bermondsey Baby, painting in my South London studio and eating my way around Bermondsey Street (I blogged about José and Pizarro), blissfully unaware of the fate of V22 and the many artists working there who had to find new spaces. Since then, I'd reverted to working from home in my dining room which up till now has been multitasking as a home office. No more! As of yesterday I moved into my artist studio, which funnily enough in Bermondsey, mere minutes away from my very first fixer-upper. Isn't it funny how one comes full circle? Anyway, back in January my Bermondsey restaurant posts, all two of them, were titled 'Bermondsey Beckons'. Yes indeed, Bermondsey has beckoned me and I am back, with a vengeance. This time, my East London food series East London Eats has a Southern sibling in my new series Bermondsey Bites. I will share my new studio in time! But for now here's the first Bermondsey restaurant I supped at to celebrate my acquiring an artist studio and my return to South London. 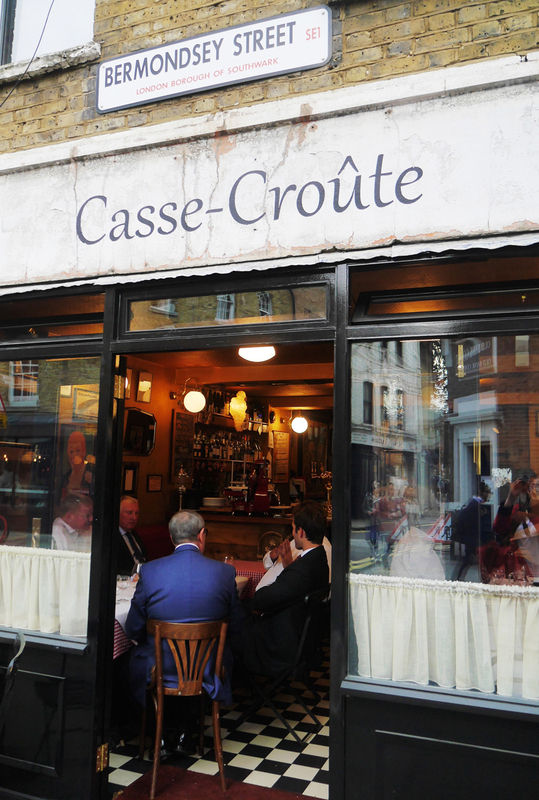 As per the suggestion of my lovely blog readers and social media followers, I sought out Casse-Croûte on Bermondsey Street. 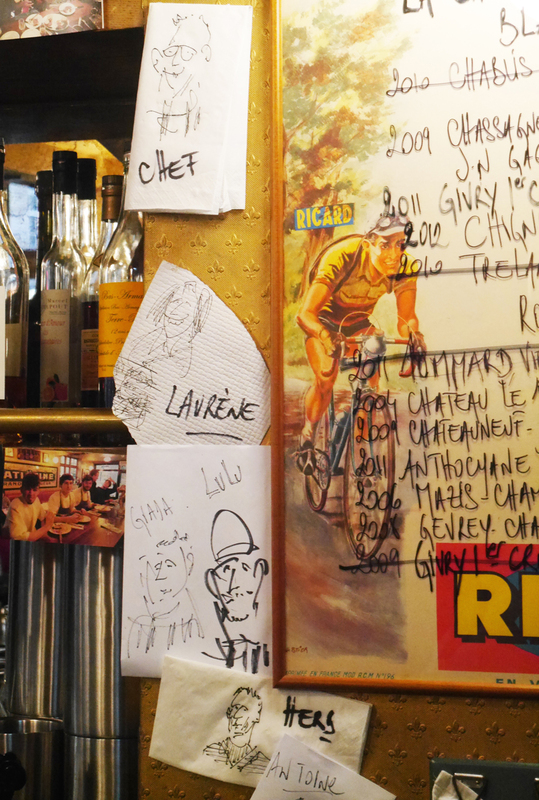 Locals know it as that small and cozy French bistro with a daily menu written in French on the chalkboard and translated to English by the friendly staff. Happily for those who like to eat at random times of the day i.e. 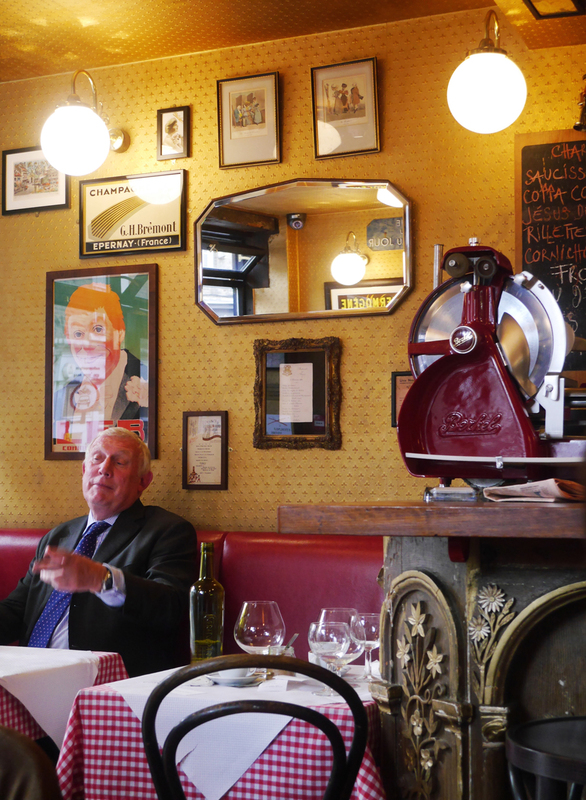 yours truly Casse-Croûte is an all-day restaurant. Henry and I rocked up at the highly irregular hour of 3pm to find the diminutive bistro packed with groups of jolly, older men in suits (by older men I mean anything over 30, as my boyfriend is 23) roaring with laughter over rounds of brandy and wine, declaring to the staff who they all seem to be on first-name basis with their appreciation of the hearty, delicious traditional French dishes. The daily menu is small and offers three choices of starters (of which we ordered all three), mains, and dessert. 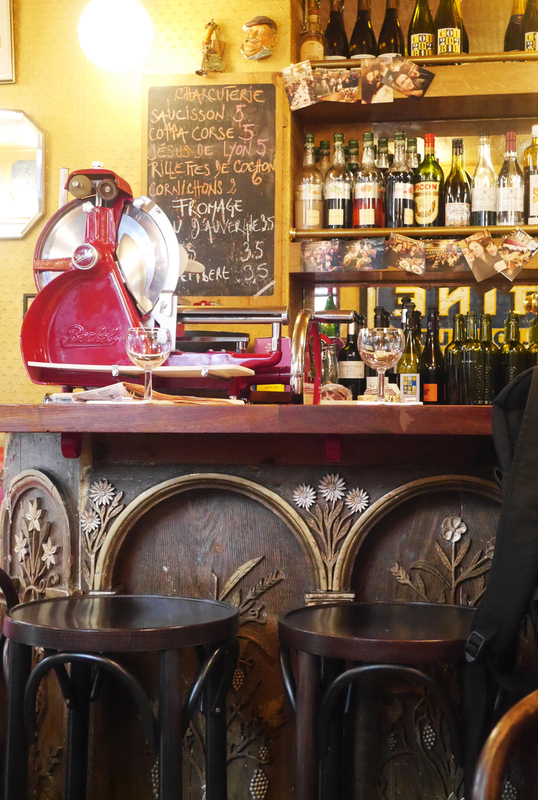 The place is crammed with bric-and-brac; French signage, cabaret posters, copper pans on the wall, and shelves lined with Perrier Jouet bottles. 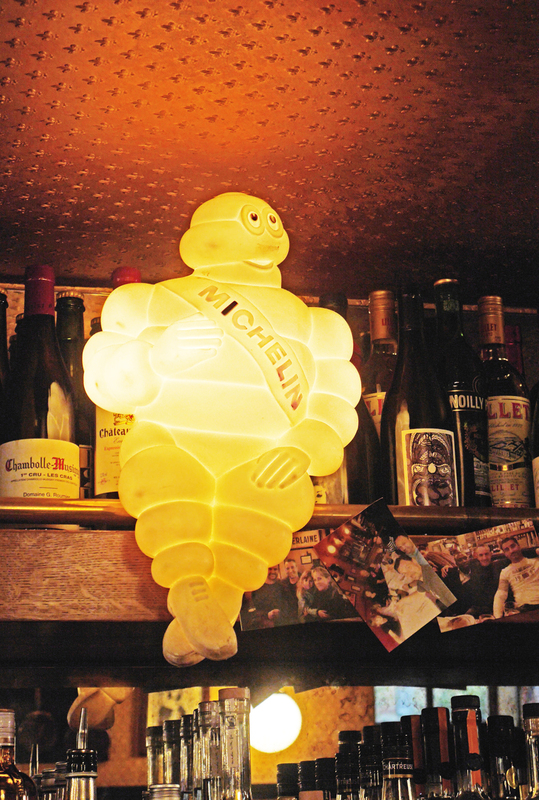 We even spotted minuscule framed artwork on the ceiling beams, a Michelin Man lamp, and caricatures of the chef and his staff behind the bar. 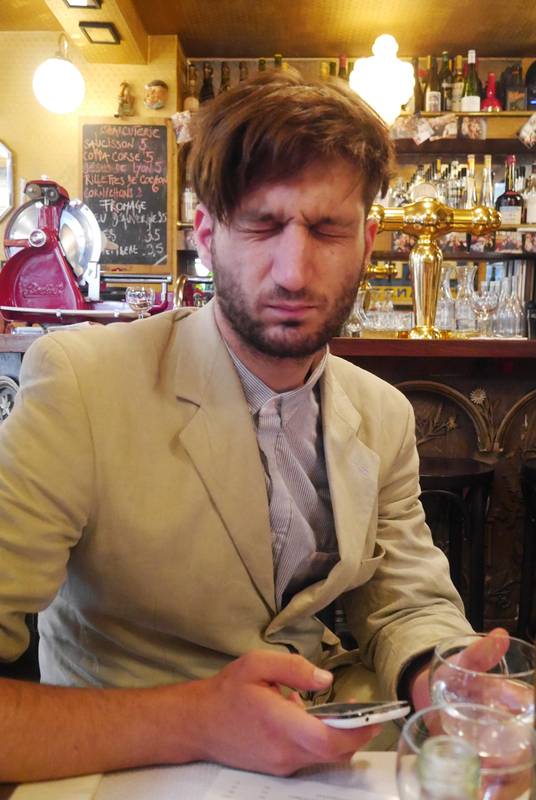 Henry being 'dejj', his word for cats who close their eyes in contemplation and appreciation. We ordered all three starters, naturally. 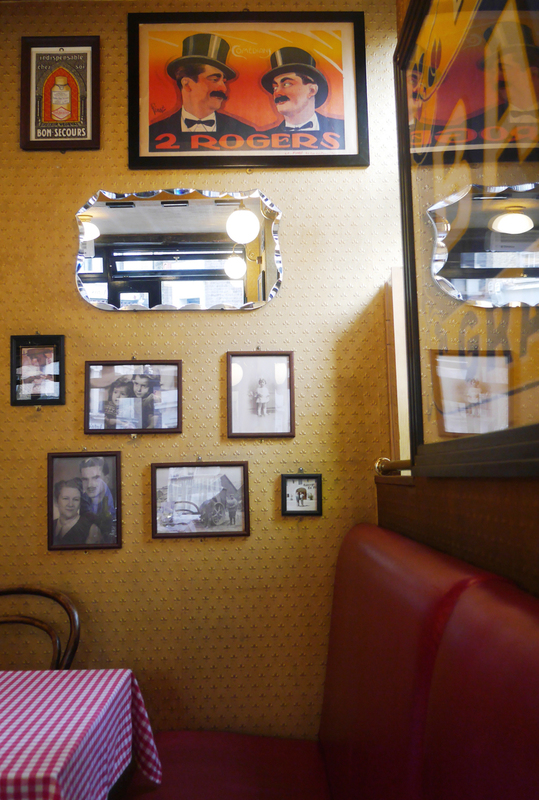 Pardon my French, I don't remember the names of the dishes but I shall do my best to describe them. The starters that day were chicken liver terrine, egg cooked with haddock, and the most incredible pot of four gooey cheeses that I happily dipped slices of toast in. Just like my favourite Duck & Waffle dish, the duck egg en cocotte. For mains, Henry had fish while I had a excellent duck confit with bacon and sausage. I make it sound more English than it really is, but it was an exemplary example of rustic French cooking! 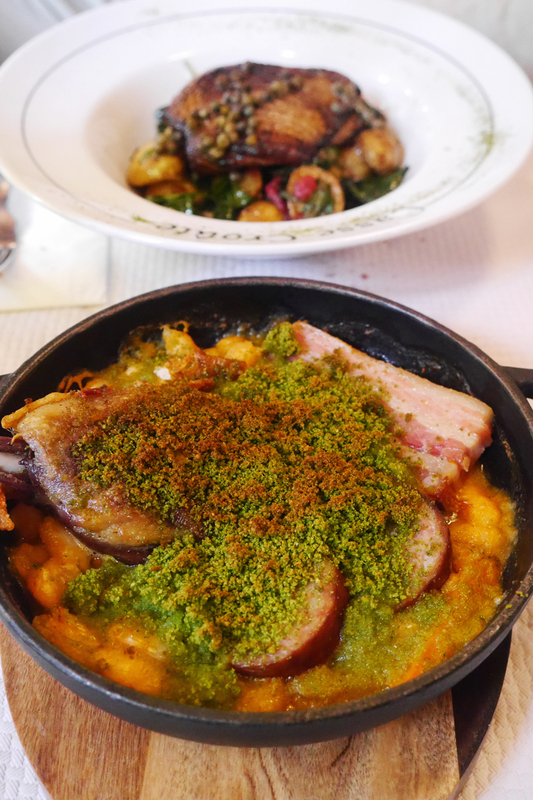 The duck was perfectly tender, the meat just fell off the bone, and while I left the lentils untouched the sausage it came with was simply perfect. Duck leg covered in and hidden from view with generous helpings of sausage and bacon. I highly recommend this. Every bite screamed rustic French cooking. 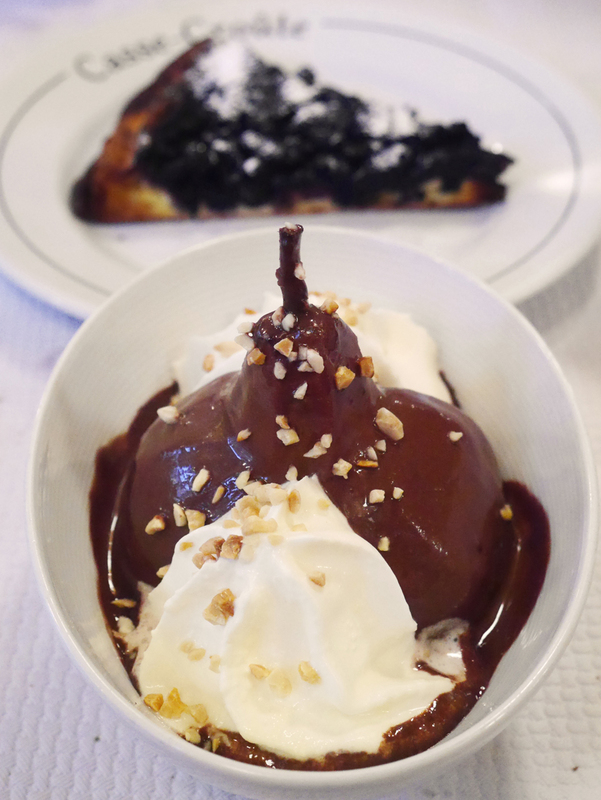 For pudding, I was sorely tempted to order all three options---poached pear with ice-cream, blueberry tart, and creme brulee---but I was fit to burst and so we did without the creme brûlée. Will you please do an apartment tour? Your living room is so chic! I just came from there! I had the pork with mashed potato and kale...it was AMAZING!